An ideal wire cutter for jewelry making that employs bypass cutting to produce a clean, square cut and features a built-in cut wire retainer for user convenience and safety is being introduced by Xuron Corp. of Saco, Maine. The Xuron® Model 9100F Oval Head Wire Cutter features a wire retainer to prevent cut wire from flying around the work area, getting lost, or ending up endangering children and pets. 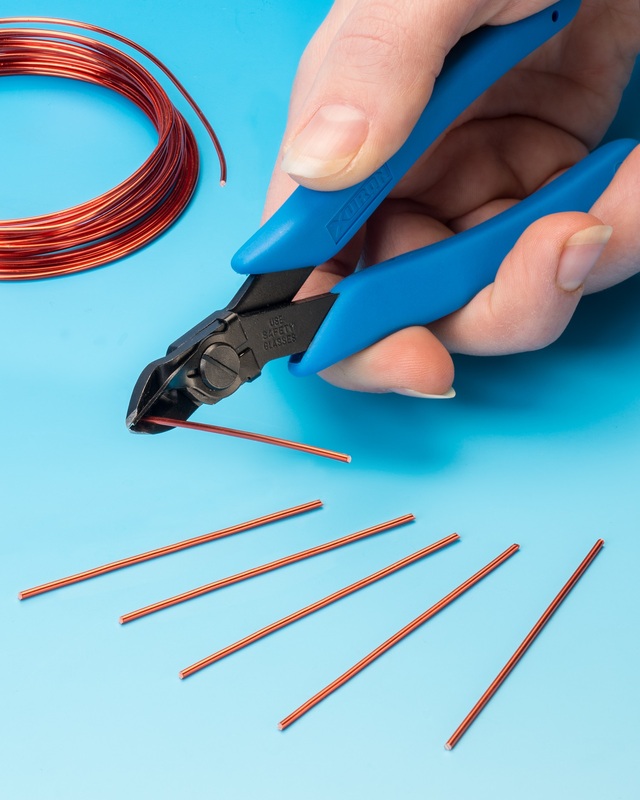 Comfortable to hold in either hand, this cutter is designed for soft wire up to 16 AWG (1.3mm), produces a clean, square cut, and helps keep small bits of precious metal wire organized. Ergonomically designed with cushioned Xuro-Rubber™ hand grips and a Light-Touch™ return spring, the Xuron® Model 9100F Oval Head Wire Cutter has a glare-eliminating black finish. Made from alloy steel with cutting edges hardened to RC 58-60, this flush cutter requires about half the force of conventional compression-style cutters which can also deform the wire. The Xuron® Model 9100F Oval Head Wire Cutter with wire retainer sells for $25.50 (list). A catalog is available upon request.